Nexans has completed a six-year project to design, manufacture, supply and install approximately 100 kilometres of subsea high voltage direct current (HVDC) cable and accessories for Nalcor Energy’s Strait of Belle Isle Marine Cable Crossing in Newfoundland and Labrador. 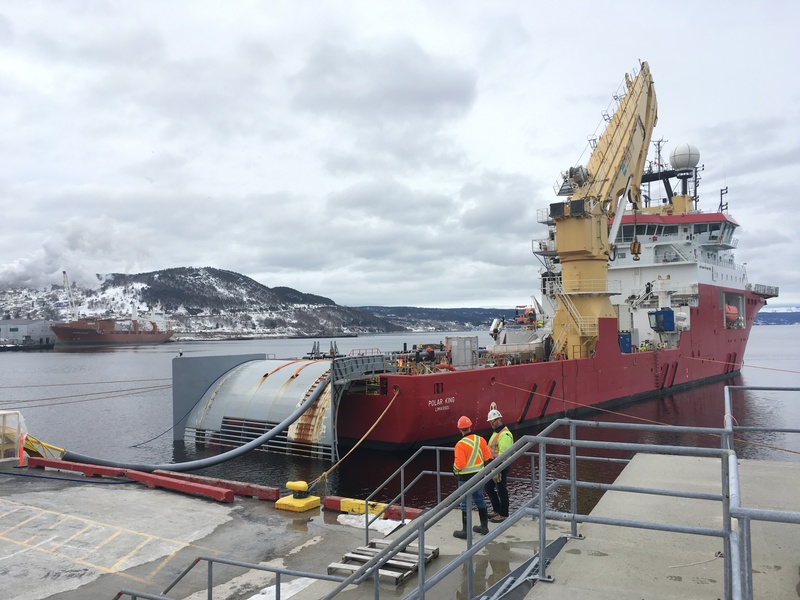 The project, which now connects Labrador with the island of Newfoundland, reached its conclusion when the final 2.3 kilometre length of cable was delivered, providing a spare ready for use. The 350 kV HVDC cables used for the project are based on Nexans’ mass-impregnated design. They include three lengths of submarine cables with an integrated fibre-optic element together with underground cables that were used for the land connections at either side of the strait. The accessories comprise joints, spares and terminations. The subsea cables were installed in water depths of up to 110 m by Nexans’ own installation vessel, the C/S Nexans Skagerrak. The 350 kV HVDC cables were manufactured by Nippon High Voltage Cable Corporation, Nexans’ facility in Tokyo, Japan.